It aims to create a new flexible scientific network that will address the causes, timing, emplacement mechanisms, and consequences at local and planetary scale of the largest and most recent ‘salt giant’ on Earth : The late Miocene (Messinian) salt layer in the Mediterranean basin. This inter-sectorial and multinational cooperation network comprises a critical mass of both experienced and early-career researchers from Europe and beyond embracing geologists, geophysicists, geochemists, microbiologists and paleoclimatologists. It offers an opportunity to achieve breakthroughs results to resolve one of the most enduring controversies in the field of Earth Science and to train the next generation of scientists via a series of high quality training events. The network is currently composed by more than 30 partner all over the world with a a special effort in the involvement of Balkan countries, Middle East countries, and northern Africa countries. 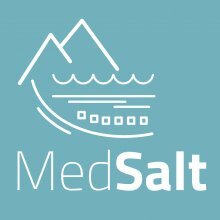 MEDSALT is chaired by A. Camerlenghi from OGS Trieste and vice-chaired by Johanna Lofi from Geosciences Montpellier.